Celebrate Rosh Hashanah, the Jewish New Year and the world’s birthday (Oct 3, 2016). This lovely children’s book recounts – in easy to understand rhymes that are accompanied by colorful images – the order of creation as it is described in the beginning of the Book of Genesis: From God’s creation of light on Day One to the creation of Adam and Eve on Day Six to the day of rest — the Sabbath. Rosh Hashanah, literally “head of the year”, is the Jewish New Year and one of the Jewish people’s holiest of days. Rosh Hashanah, which occurs on the first and second days of the Hebrew month of Tishrei (September – October), also celebrates the world’s creation. The Jewish New Year celebration has little in common with the secular celebration of New Years Day in January. The traditions and rituals of Rosh Hashanah are not associated with partying, fireworks, or football games, rather they are devised to encourage contemplation, reflection, and self-evaluation. They reinforce the notion of our responsibility for our life, our conduct and our actions. The most popular symbols of Rosh Hashanah are the Shofar, the ram’s horn that is blown as part of prayer services, and the apple dipped in honey, which represents the prayer for a sweet new year. MazorBooks Fun at Grandma Sadie’s: A Rosh Hashanah Story introduces kids to this important Jewish Holiday. Perhaps it’s a bit early, as Chanukah (Hanukkah) is still months away and the first light of the menorah will only be lit on the eve of December 25, this year – but perhaps not. Is it ever too early to teach kids the value of gratitude and compassion? The Jewish Book Council just published the following review of The Clever Dreidel’s Chanukah Wishes by Christine Maasdam. Mazor uses a clever dreidel to present thoughtful Chanukah rhymes, asking us to include every child in our Chanukah wishes. This clever dreidel reminds us to not take our basic comforts for granted. Each night’s candle lighting blessing graciously reminds young readers to wish that all children should be fortunate, have safe homes, warm beds, good food, cozy clothes and stable health. An appreciation of what they have is gently layered into the rhymes, creating an awareness and a meaningful opportunity for interaction with young children. The clever dreidel’s goal is to instill the wishes of love, peace, hope and bright futures for the children of our world. Delightful illustrations by Biswas are engaging and purposeful, directly linking the artwork to each wish. The positioning of the candle lighting on the chanukiyah is illustrated on the corners of each page, providing easy instruction in candle lighting. This book would be a welcome addition to early childhood and elementary school libraries and classrooms as source material for Chanukah and for furthering the discussion of mitzvot as well as for home reading. The Clever Dreidel’s Chanukah Wishes by Sarah Mazor, illustrated by Mary Kusumkali Biswas is available in digital and print versions on Amazon. Are you looking for a captivating, educational book about the Hebrew alphabet? You’ll be happy to know Sarah Mazor has created just what you’ll love. Not only will you learn facts like there are twenty-two letters in the Hebrew alphabet, but also how to pronounce each letter, plus popular boys’ and girls’ names starting with each letter. Many other facts are included as well. For example, you’ll learn which Israeli cities start with each letter and some history about each of those places. I loved this book and learned so much from it. You and your family is sure to feel the same about it. There are important benefits to exposing your children to more than one language. Research shows that multilingual-kids are better at, among other things, learning, planning, problem-solving and self-control. (and you) with a lifelong connection to the Bible and to Israel. 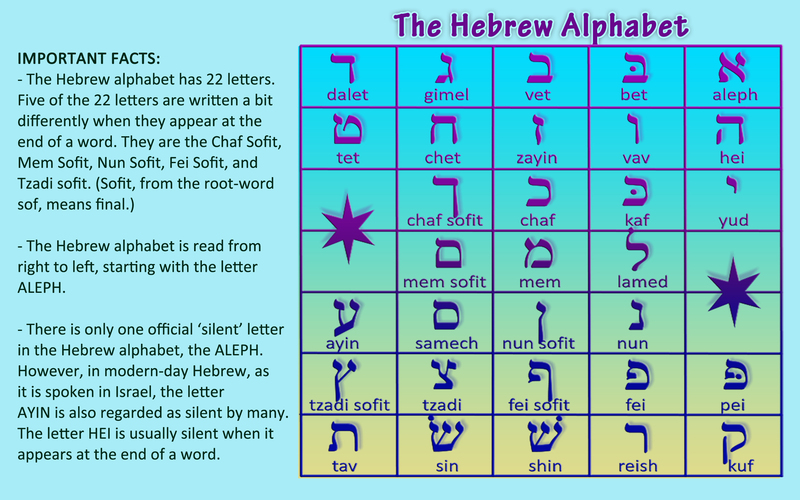 Hebrew alphabet, each letter’s numerical value, over eighty Hebrew vocabulary words and much, much more. The Hebrew Alphabet: Read, Write and Color is another installment in the ‘A Taste of Hebrew for English Speaking Kids’ MazorBooks series. This more advanced edition is recommended for children ages 6 to 11. Sarah Mazor; Benny Rahdiana, illus. This book is part of a series called A Taste of Hebrew published by Mazor Books. The series includes books on Hebrew letters and numbers, as well. This time, the reader is invited to follow a traveling rainbow to Israel in order to learn the names of the colors in Hebrew along with two children named Ami and Tami. The text rhymes successfully and rhythmically which is not always achieved in children’s books of this kind. The illustrations are bright, cheerful and are filled with deep colors which seem to saturate the page. This creates an overall tone which is upbeat, young, and fun and which will attract young readers. On the whole, the book is age-appropriate and appealing. There is some useful material in the back which will be helpful for families in learning and teaching the Hebrew words including some grammar tips, charts with the masculine and feminine forms of the colors, and some additional bonus words which are related to the themes in the book. Throughout the book, the Hebrew words are transliterated into English and shown in Hebrew, as well. There is also a pronunciation guide for parents. Children will enjoy this happy frolic with the rainbow as they learn the names of colors in Hebrew. Learn the names of Colors in Hebrew!!!! A growing selection of MazorBooks children’s books with good values is dedicated to opening up the world of Hebrew to English speaking kids (of all ages). To date, the first four books in the series “A Taste of Hebrew” have been published. More on the way! is identical to the standard editions. MazorBooks is delighted to announce its digital publication of The Seven Days of Creation, its first picture book for young children based on biblical texts. The Seven Days of Creation recounts, in easy to understand rhymes accompanied by colorful images, the order of creation as it is described in the beginning of the book of Genesis: From God’s creation of light on day one, to the creation of Adam and Eve on day six, to the day of rest. The Sabbath. The Seven Days of Creation: Based on Biblical Text print edition will be made available to the public by next week and in time for holiday shopping! The Hebrew Alphabet Book of Rhymes for English Speaking Kids has been reformatted for KINDLE devices. Connect with ISRAEL and the BIBLE – Learn the HEBREW ALPHABET. 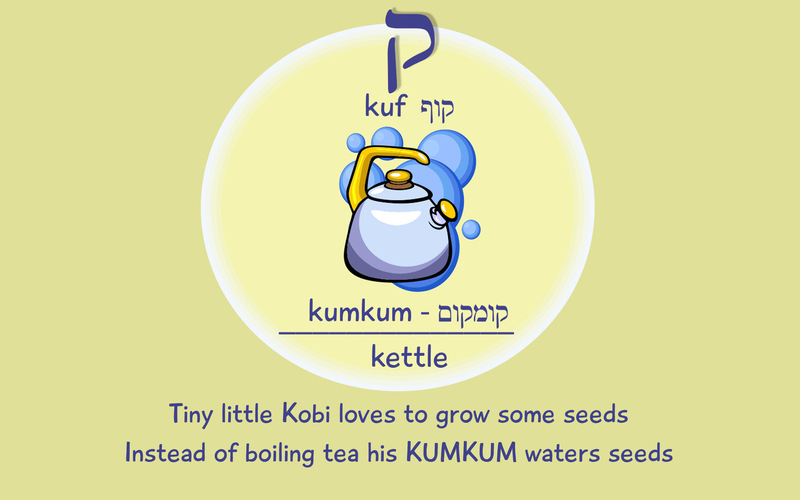 This first book in our “A Taste of Hebrew for Kids Series” focuses on the Hebrew alphabet. In this book, the 22 letters of the Hebrew alphabet are illustrated and spelled out in English and in Hebrew. In addition to the letters, 22 basic Hebrew words that are appropriate for young children are taught in an entertaining way. 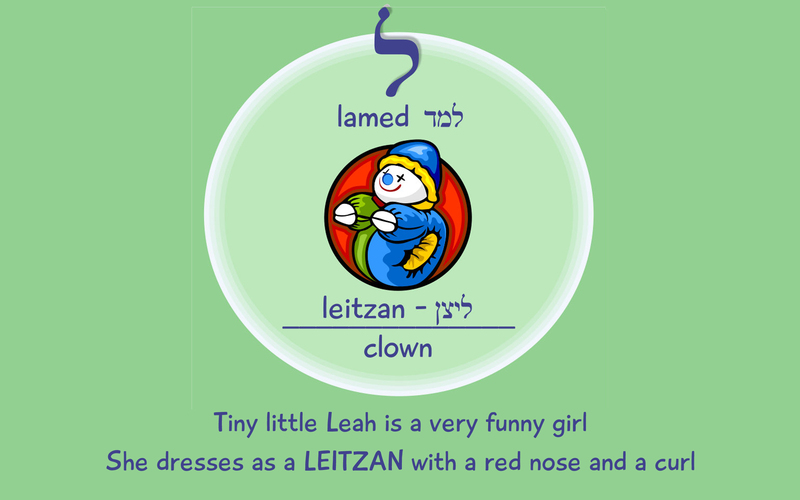 Enjoy the Hebrew Alphabet Book of Rhymes on your Kindle device like you have never before. The reformatting of the digital book was done specifically for Kindle device users so that the pages fill your entire screen. PLEASE NOTE: As of today, Amazon.com has not updated their “Look Inside” sample and displays the retired images. 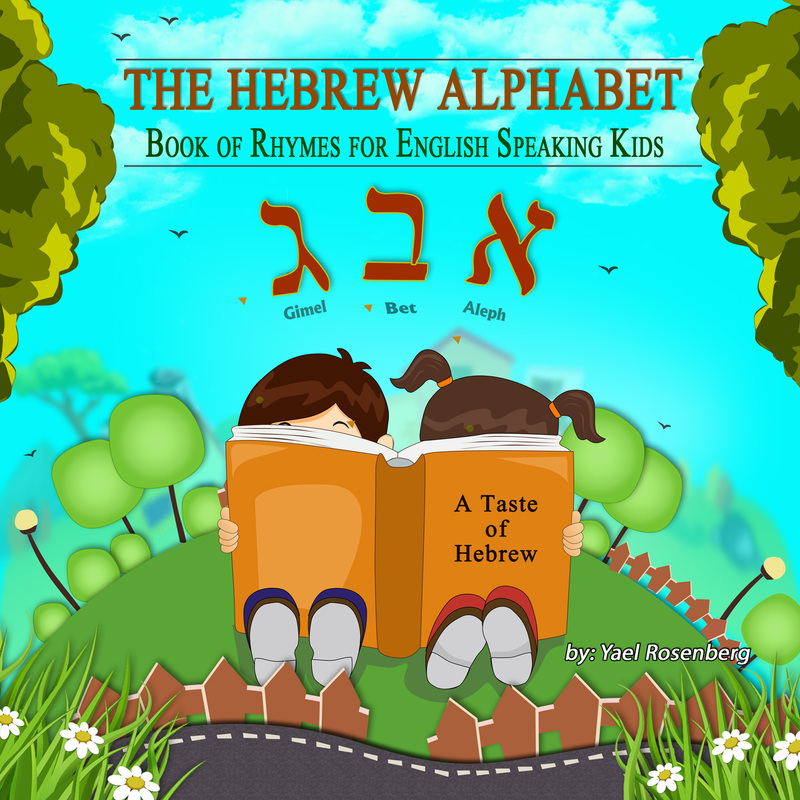 To see what the book trulyThe Hebrew Alphabet Book of Rhymes for English Speaking Kids looks like, download the “SAMPLE” to your Kindle device. -Print Version of The Hebrew Alphabet Book of Rhymes for English Speaking Kids is available in print on Amazon.com. Click Here!